This picture says so much! 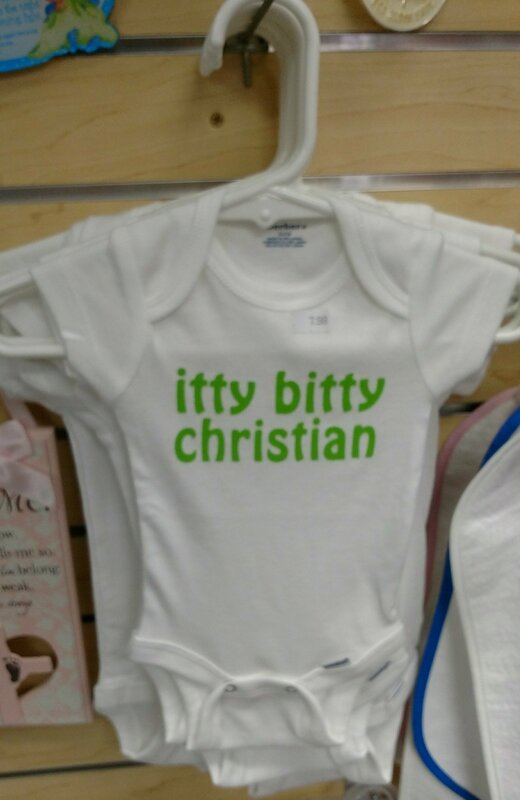 We found these “cute” onesies in a religious bookstore this week. 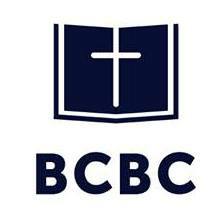 Others said, “Itty bitty _________” (fill-in-the-blank with a church denomination). I think I understand the “cute” intent of the maker and store owner, but how many of us as true, born-again believers could wear this outfit? Itty-bitty Christians . . .
Are satisfied to stay an infant when it comes to spiritual growth in the Word. Instead of totally immersing themselves in the daily personal intake of the Word (Psalm 119; Ephesians 4:11-16; 5:18-20), a quick dose of an internet devotional or a religious song on Sirius XM on the way to work suffices. The outcome is an itty-bitty faith in an itty-bitty God. Are satisfied wearing a “onesie” because life is about them instead of glorifying God and serving others. (Matthew 22:37-40; Romans 12:9-21; 1 Corinthians 10:31; Colossians 1:15-18) The outcome is an itty-bitty Christian who seldom makes an impact on the world for Christ. Are satisfied being a nominal Christian rather than a genuine, all-out disciple of Christ. Read Luke 14:25-27. Does that passage describe an itty-bitty Christian wearing a “onesie”? Believers, we are exhorted to grow, to mature in the faith. Take heed to the following and let’s cast off our itty-bitty Christianity! Brothers, do not be children in your thinking. Be infants in evil, but in your thinking be mature. (1 Corinthians 14:20). Next Article Sing Congregation! Sing! !